It’s finally here! 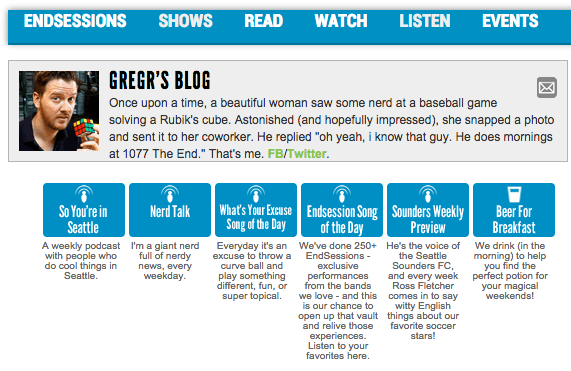 My podcast with GregR, the morning dude on 107.7 The End. The first attempt to record this was junked due to technical difficulties, but we gave it another go. I had a ton of fun chatting with GregR before we headed over to Emerald City Comicon. Check it out would ya! Big props to my man GregR for having me on his podcast. Check out other episodes here, also find GregR on Twitter @gregr1077. Thank you Meghann Prouse Indie Photographer for the photos.